Alright, so it’s almost Christmas, which means you’ll be busy with Christmas shopping and decorating once again. And whatever you’re going to the store for, things are going to be a lot more pricey at this time of year. Which is why you might end up overspending and splurging. But thankfully there are plenty of ways to help you cut costs and spend wisely without sacrificing. And down below I’ve gathered some tips and tricks that’ll help you save a lot of money this holiday season. These are ideas that are all super simple, not complicated to implement, and give you great deals. So take a look at them, bookmark this post, and let me know what you think! The best way to stop overspending this holiday season is to make a specific budget. Determine how much available money you have to cover all the holiday expenses and stick to it. I also highly suggest that you set aside money for Christmas before December comes. 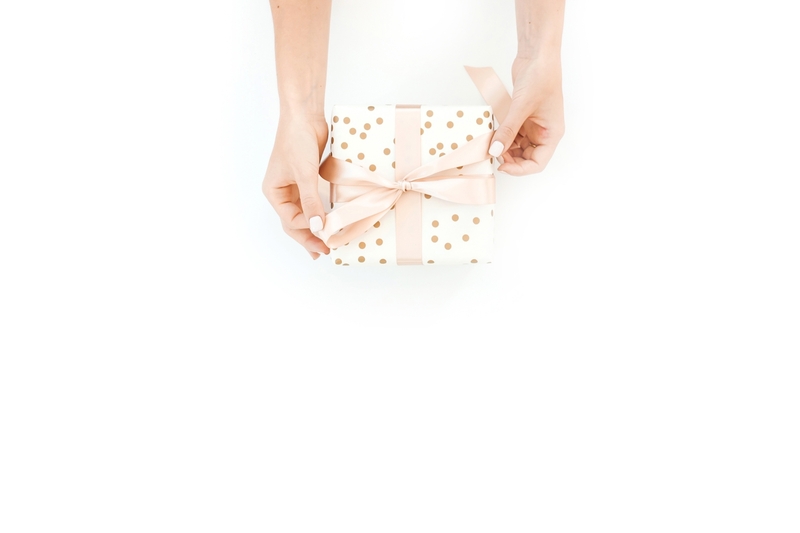 Assigning a specific amount for each gift is also helpful when you brainstorm gift ideas. Having a set amount helps you find ideas within a certain price range. Then, you can limit your spending and shop more wisely. One of the easiest ways to save money this Christmas is to make a list and simply stick to it. But honestly, I know we’ve all been guilty of veering off the list and buying more than what we need. So make it a habit to be on course and think about what your savings will look like post Christmas. If you’re not an Amazon Prime member yet, then you’re missing out on a lot. Having a Prime membership has so many benefits. The fact that Amazon has almost everything, I mean millions of gifts to choose from, you can definitely find whatever you want. And if you’re an Amazon member, you can have exclusive discounts and great deals, saving you even more money. You don’t need to shell out loads of money right away or commit to a full-fledged membership either. Just take advantage of their FREE 30-day trial and cancel your trial before it’s over and never pay a dime. You can easily sign up for an Amazon Prime membership here! Basically, Groupon is one of the most popular deal sites that offers a lot of discounts. Offers like nice restaurants, relaxing massages, electronics, beauty products, and toys. Groupon has got you covered with all the amazing discounts you need. Another awesome way to save more money this holiday season is by getting cash back whenever you do online shopping. Ebates offers as much as a 25% cash back on many online stores. If you’re someone who regularly shops online, you might as well use Ebates to save more money. Who doesn’t like to get cash back right? You can easily sign up for Ebates cash back here! It’s overwhelming how much good stuff you can find on Pinterest. It covers almost everything from DIY holiday decor to gifts. They’re super easy to do and don’t a cost of fortune to make. They’ll definitely save you money and give you a memorable Christmas. You can easily find awesome DIY projects on our Pinterest account here! It might not be Black Friday yet, but seriously, buying a few things every week between now and the actual shopping season can save you a lot of time and money. You’ll be able to keep track of your finances and avoid stressful holiday shopping experiences. Just be sure to keep all your gifts in a safe hidden spot so they’ll remain a surprise! Also, there are a few ways to get free stuff online and offline that might be worth checking out as we approach Christmas. Seriously, if you type into Google, “ways to earn money” you’ll be surprised to see a lot of great options. Whether online or offline, you can earn as much as $50 a week. This is pretty much enough to cover a couple of gifts or even more than that if you find good deals. Some examples may include using survey sites like SurveyJunkie.com, editing people’s articles on Fiverr.com, teaching English on sites like iTalkie.com, and more. Christmas is a great time of the year and should not be a stressful season. And when you implement these tips and tricks, you’ll save a lot more than you expected. So give them a try and let me know what you think! Now if you have any questions about these tips and tricks, just let me know in the comments down below. I’d love to help you guys out!